I did this project last month and thrilled to achieve the look that I wanted. Honestly, I was a bit nervous when I bought the fabric for the sleeves. I was afraid that it won't be matching and would later look awkward when worn. I am happy that this project turned out well so now I'm sharing how I did it. 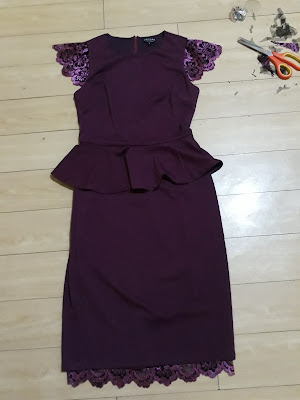 The dress that I refashioned is this fitted peplum dress in berry which I bought from Zalora, my favorite online shopping store. Anyway, I purchased a lace fabric that is very close to the color of the dress. Sorry for the quality of photo here because it is a little dark and unedited. But I think you can see the colors are matching. 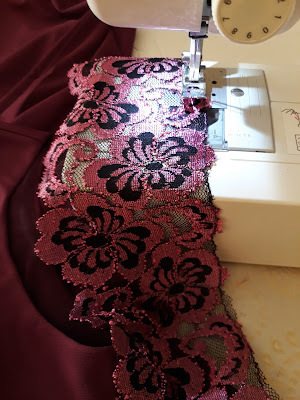 The trimmed lace is positioned and ready for sewing. I started and finished this project under 2 hours one afternoon while my girls were away playing. 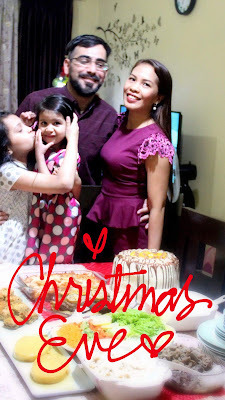 I think you saw my holiday post wearing this berry dress. If not, click HERE to view. 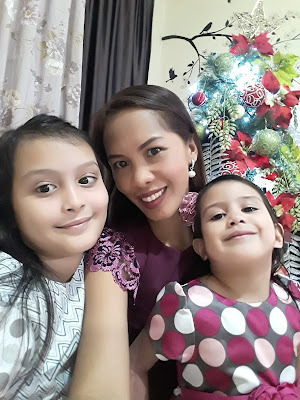 Here's another shot taken during Christmas Eve. I love this dress so much because it looks so cute. The color is from the shade of pink but it's dark so it's okay. It fits perfectly well. And most of all, it is peplum which is kind of awesome and can hide bulges if you accidentally indulged into an extra slice of cake. Hahaha.